Latching onto the impending TV blackout of the Bills-Dolphins game in Buffalo, N.Y., on Sunday, Sen. Richard Blumenthal (D-Conn.) and Rep. Brian Higgins (D-N.Y.) took the opportunity to push for legislation to stop sports blackouts for good. Even though Sunday’s game would be only the second blackout of the 2013 NFL season—the first was the Week 13 Bengals-Chargers game in San Diego—past years have seen more than a dozen blackouts. That said, the issue tends to disproportionately impact fans in the two aforementioned markets. Going back to the final month of the 2012 NFL campaign, Buffalo and San Diego have accounted for five of the league’s eight blacked-out telecasts. 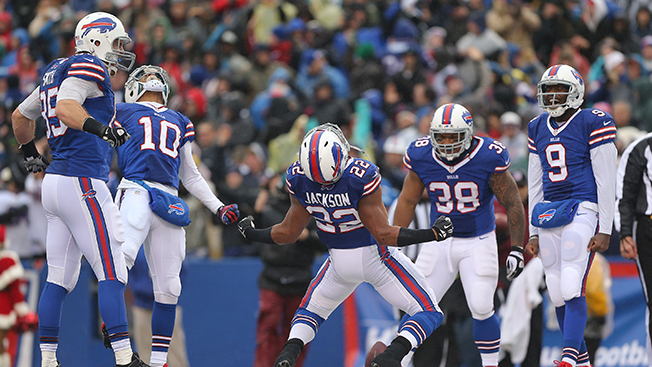 An estimated 15,000 seats at Buffalo’s Ralph Wilson Stadium remain unsold. “This blackout is exhibit A for why we need to abolish the antitrust exemptions for teams that black out games,” said Sen. Blumenthal Friday during a press call. Last month, Blumenthal and Sen. John McCain (R-Ariz.) introduced the FANS Act (for Furthering Access and Networks for Sports). Higgins introduced the House version. There’s a lot of desire in Washington to put an end to sports blackouts. On Thursday, the Federal Communications Commission voted unanimously to eliminate its 40-year-old rules that prevent a cable or satellite operator from carrying a game that is blacked out on local TV. The FANS Act goes further and would do what the FCC could not do and eliminate the 1961 act that gave the leagues antitrust exemptions that required them to blackout the games when the stadiums didn’t fill. “There’s no other industry where there is this blanket antitrust exemption that allows them to conspire together and set the rules of the game,” Blumenthal said. For its part, the NFL on Wednesday said it will “strongly oppose” any movement to do away with the blackout rules. In 1974, the same year the FCC adopted the current rules, 59 percent of regular-season NFL games were blacked out in local markets. This year’s total represents just 1 percent of all the games played since the season began.